Borton Fruit has attended the Midwest Produce Expo annually since The Packer launched the new industry trade show event back in August of 2012. We have found value in participating in the show each year. The venue provides a unique way for produce growers, shippers, regional retailers and wholesalers to come together in discussion on new product information as well as industry trends. This year the conference was held in Chicago on August 12th, 2014. Sky Johnson attended the show on Borton’s behalf. “Overall the show was an enjoyable and productive venue. It brought great exposure for Borton Fruit by demonstrating how the Borton family is dedicated to cultivating some of the world’s finest apples, pears and cherries” states Sky. The Koru apple out of New Zealand! Borton Fruit along with Oneonta and New York Apple Sales have started marketing the apple in the United States. It’s been an exciting new variety to anybody who’s tasted it. Borton Fruit’s began commercial planting here in Washington State. 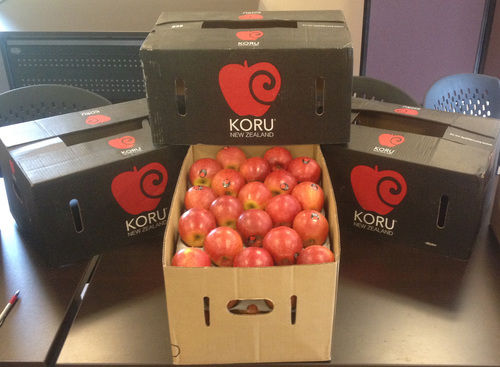 To learn more about the Koru Apple, please see following link; https://koruapple.nz/. The Rockit Apple with its unique tubed packaging! Borton Fruit and Chelan Fresh Marketing have come together in marketing the Rockit here in the United States. These snack-sized apples provide a new healthy eating option on the go. “Each time a produce industry veteran spotted the unique packaging it was followed by several conversations and creative ideas. The feedback from attendees and exhibitors alike was overtly positive,” says Sky. 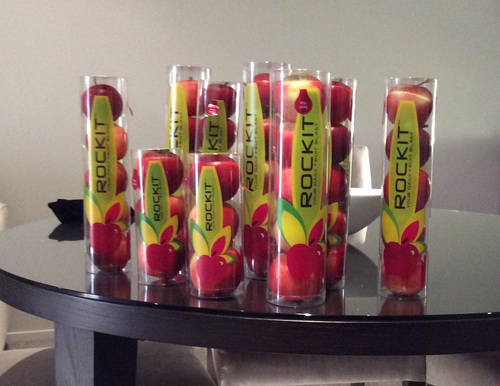 To learn more about the Rockit Apple, please see following link; http://www.rockitapple.com/. The venue provided a great atmosphere in introducing some of the new products we have underway. We look forward to attending next year when it moves to Minneapolis!